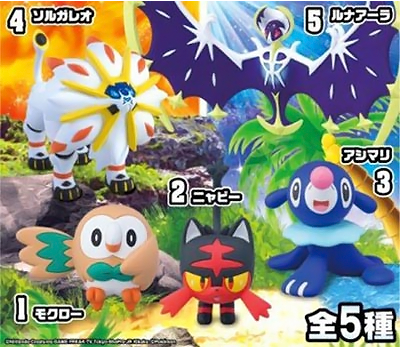 Sytle figures return for Sun and Moon! Tomy is bringing back their style figure series for Sun and Moon! This set has five figures total. A box of 10 will cost 4,104 yen. Each figure also comes with soda pop flavored candy. The set will be released early December 2016.